We have updated our printed Eating Out Guide to bring you the new Taste of Marble Arch with 50 foodie favourites in the Marble Arch and Edgware Road area that have been specially selected to showcase the diverse flavours for any budget or occasion in our diner’s dream of a district. Explore everything from the cultural dishes and bright lights along Edgware Road to the charming bistros and boutiques of leafy Connaught Village, Seymour Place and New Quebec Street for your ideal place to eat, drink, relax and shop. Offices, schools and hotels in the area have received copies, but you can have one too. 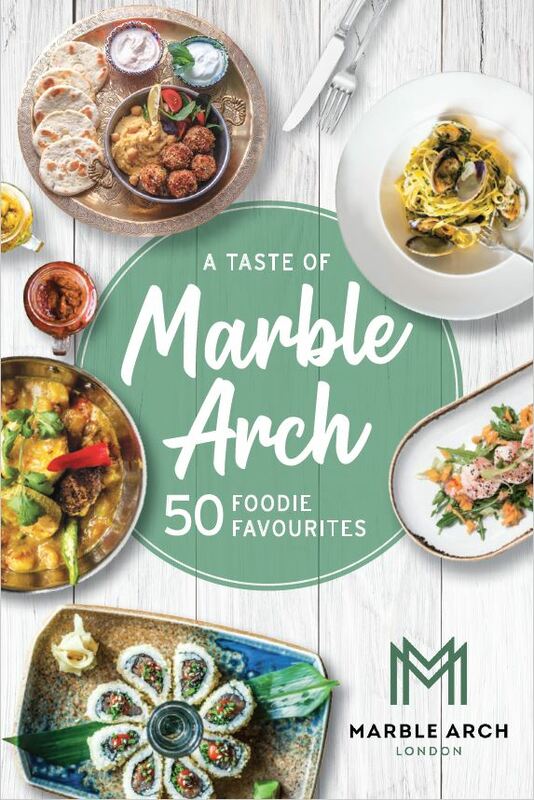 If you’re interested in using our gastronomic guide, email getinvolved@marble-arch.london to request copies for yourself and your organisation. 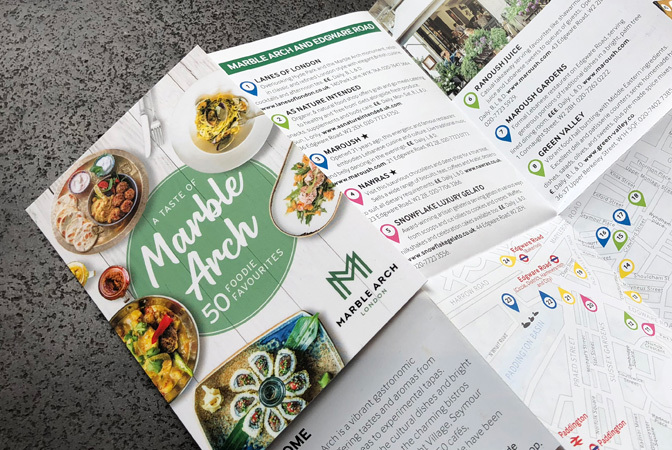 Look out for the new guide and please pass it on to work colleagues, office tenants, hotel guests and concierge services to promote Marble Arch’s world-class dining and leisure quarter!